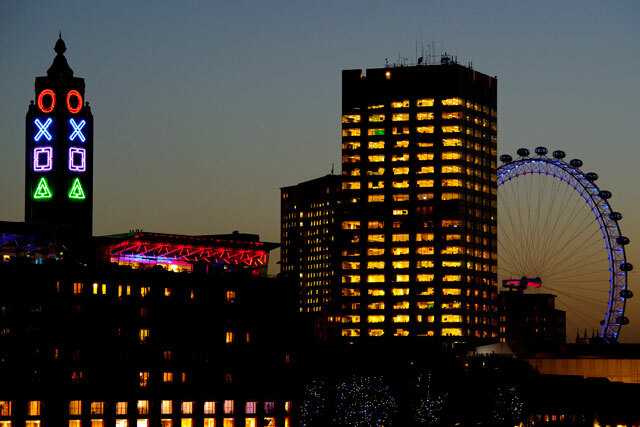 Manning Gottlieb OMD and Talon Outdoor have installed huge glowing PlayStation symbols on London's Oxo Tower for the launch of the new PS4 console. 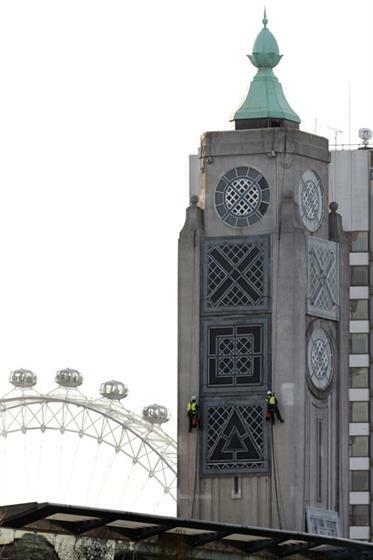 The PlayStation circle, cross, square and triangle symbols were installed last night from 72 neon light strips, and marked the first time amendments have been made to the Oxo Tower’s lettering in its 85-year history. The installation was created in partnership with Fever PR, with the support of Talon Outdoor’s strategic partnership with Curb Media. It celebrated the global launch of the PS4 console, which launched in the US at midnight today (15 November) and will be on sale in the UK on 28 November. The installation took four days to set up, using a team of six assailers scaling the tower at a height of 58 meters. Each symbol weighed 97kg. A new global brand advertising campaign also launches today, created by 180 Amsterdam. "For the players" is an integrated campaign, showcasing what PlayStation calls its focus on the player. The ad explores a first-person perspective journey through past PlayStation games and upcoming releases. The art director at 180 Amsterdam was Ed Ryder and the copywriter was Enrique Reija. Scott Lyon directed the film through Outsider. The campaign includes interactive online media, print, TV, cinema spots and other out-of-home elements. It launches simultaneously in Europe, Australia, New Zealand, India, South Africa and the Middle East. Fans of PlayStation can declare themselves "a player" by pledging their name on The Players Monument - an online record of PS4 fans from around the world. Usama Al-Qassab, the vice president of marketing at PlayStation, said: "Christmas 2013 is set to be another defining moment in the history of PlayStation. The player has and always will be our focus and they have been central to every stage of PS4 console, software and communication development to an extent never done before. "The task which we set 180 Amsterdam was to conceive and realise a truly electrifying campaign which would empower, unite and galvanise those players, from the rookies to the veterans, all over the world." MGOMD and content agency Drum also created a trailer for the console featuring music artist Tinie Tempah, and the "since 1995" ad charting PlayStation’s history, both of which launched in October.